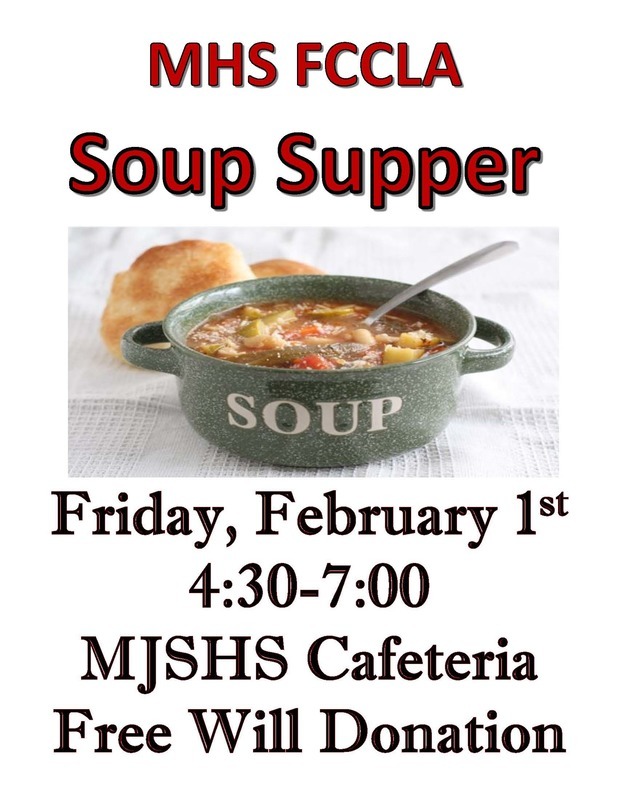 MHS FCCLA will host a "Souper Bowl" Challenge on Friday, February 1st from 4:30-7:00 pm in the MJSHS Cafeteria. Wanted--your best bowl of soup! Win prizes for people's choice and most unique soup. $25 entry fee. Cost of the soup supper is free will donation.